Here is one of the world’s classic salad dressings, welcome on almost any kind of green salad and on a host of other dishes as well. Because there are so few ingredients, their quality determines the success or failure of the dressing; it is essential to use the best ingredients available. Use the smaller amount of olive oil if you prefer a boldly tart vinaigrette; for a milder vinaigrette, use the full 4 tablespoons. For the lemon juice, let the flavor of the vinegar guide you. Some white wine vinegars are suave and complex, while others have either an unpleasant sharpness or what I call “holes,” gaps in flavor that lemon juice will usually fill; lemon juice will also smooth the sharpness in most instances. 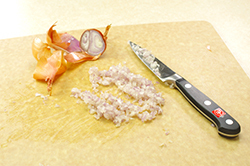 Put the shallot in a small bowl, add the vinegar and lemon juice, and season with salt. Let sit for 15 to 20 minutes. Use a fork to mix in the olive oil. Season with several turns of black pepper. Taste, and correct for salt and pepper as needed. Use immediately. 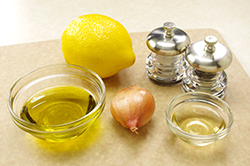 Garlic Vinaigrette: Add 2 minced garlic cloves with the shallots. 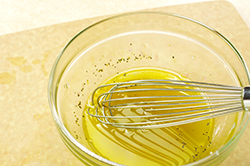 Parsley Vinaigrette: Add 1 tablespoon minced fresh Italian parsley after adding the olive oil. 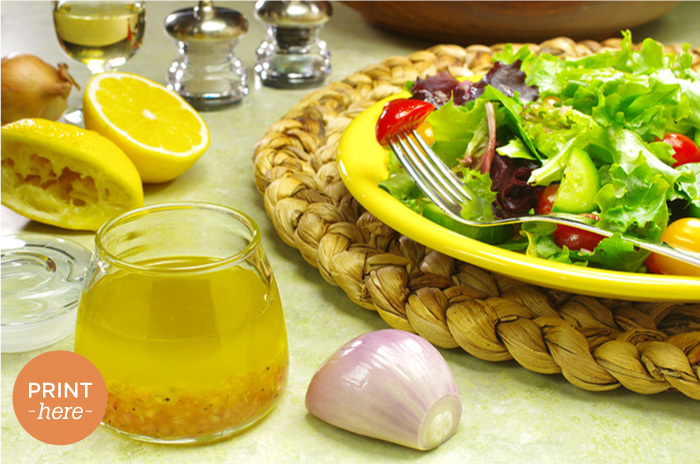 Simple Mustard Vinaigrette: Stir 2 teaspoons Dijon mustard into the shallot-and-vinegar mixture before adding salt. Caper Vinaigrette: Rinse 1 tablespoon capers, chop them, and add along with the shallots. Spiced Vinaigrette: Add about 1 teaspoon of an individual spice or herb. The best choices with this vinaigrette are ground coriander, cardamom, celery seeds, chervil, fennel seeds or pollen, and mustard seeds; good herbs to use are fresh chervil and tarragon, chopped. 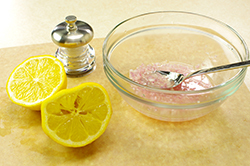 Raspberry Vinaigrette: Replace the white wine vinegar with raspberry vinegar, preferably low acid (5 to 6 percent, no higher) and add a pinch of sugar along with the salt. If the raspberry flavor is too mild, add another pinch of sugar, not to make it sweet but to heighten the raspberry flavors. BEST USES: Green salad; tomato salad; sliced cucumbers; onion salad; jasmine rice salad; grilled peach and burrata salad; sautéed fish; grilled shrimp with parsley; warm potato salad.